The Clothing Industry Training Authority (CITA) was established in September 1975 according to the Industry Training (Clothing Industry) Ordinance to provide training courses for the clothing and textile industry. 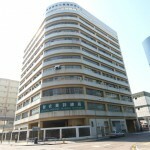 The first training center was opened on 19 October 1977 at Lai King, followed by the Kowloon Bay training center opened on 9 November 1984. In the year of 2000, the Authority was successfully accredited with the ISO9001 certification and our quality management system becomes standardized internationally since then. CITA is, in fact, the first Industrial Training organization to obtain such world-class accreditation. 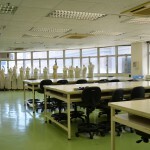 In 2007, Fashion Academy was set up to provide various full-time programmes from Technical Diploma to Bachelor degree for secondary school graduates. 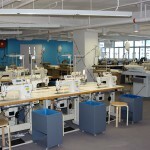 In 2009, there was a large-scale renovation of the Kowloon Bay training center to upgrade facilities including the exhibition hall, resource centres and shoe-making workshop. With the rapidly changing technology, CITA has been developing new operations coupled with diversified services such as professional consultancy and industry support services.